Are you removing some third-molar impactions? When and at what age should impacted third molars be removed and when should they not be removed? When and how do you do an operculectomy? When should there be a coronectomy? Should you have a cone beam CT? When and how do you make the incisions, and should there be a release incision? If so, where? What are the potential clinical challenges? These are some of the questions answered by Dr. Koerner in this course. If you want to include these procedures in your practice, join us to learn the principles and procedures and how to perform them according to established standards. Dr. Koerner shares how to evaluate indications for third-molar removal, potential difficulty, and successfully treat in your practice or refer if needed. 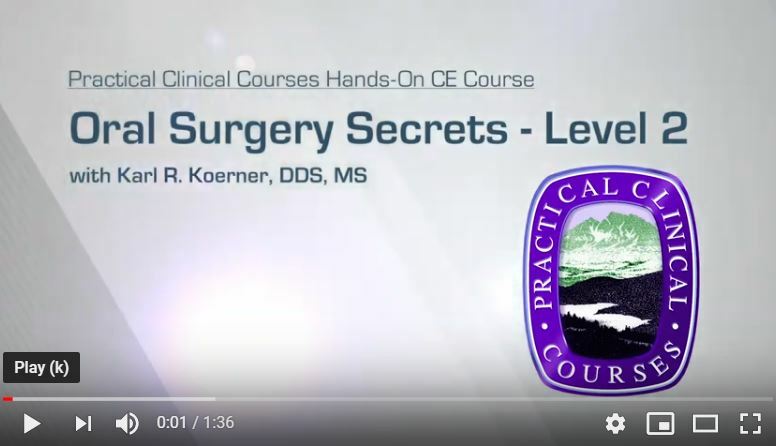 For many years, Dr. Koerner has written books and articles, filmed instructional videos, and taught hands-on courses on third-molar surgery. His courses have been immensely popular with PCC participants. 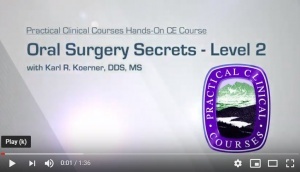 We are excited to include this all-new course for any practitioner looking to expand or perfect the oral surgical procedures offered in his or her practice. Please note: If you are considering 2 or more PCC hands-on classes, we strongly encourage you to check out our Christensen Continuum Program. You can save over 30% off your course tuition by joining the Continuum Program and receive additional free benefits. Determine whether or not impacted third molars need treatment and which treatment is most appropriate. Determine which third molars needing removal are within the operator’s clinical ability and comfort zone. 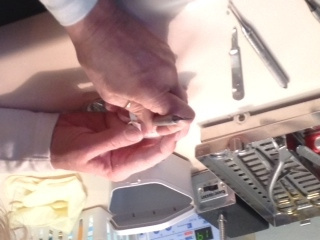 Describe how to remove upper or lower third-molar impactions step-by-step. Describe potential surgical complications and how to avoid them or manage them in the proper manner. List advantages for early removal of third molars (ERTM) when they are easier and have fewer complications.